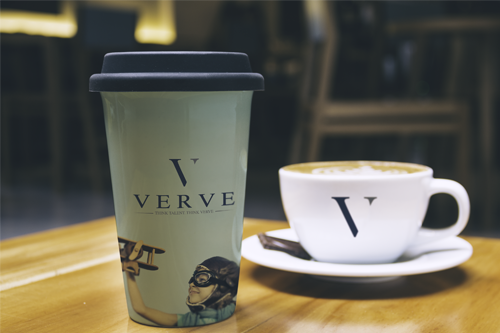 VERVE Launches a Rebranding Effort - VERVE Professional Services, Inc.
Verve Professional Services, Inc., a consulting firm with headquarters in Connecticut, has rebranded itself as VERVE. Since its inception in 2009, VERVE has grown from a boutique advisory firm to a consultancy with Fortune 500 clientele. Today, VERVE operates with multiple service lines: Business Transformations, Process Optimizations, M&A Due Diligence and Integration, Advisory Services, Project Management, and Compliance – all of which are geared at four sectors: Financial Services, Technology & Communications, Manufacturing, and Pharmaceuticals. After seven years of operating as Verve Professional Services, Inc. the privately-held consultancy has decided to make a brand change for the better, according to Sandy Russell, who has been at the helm of the firm since its inception. “As a company with roots in various Big Four firms, VERVE’s new identity gives us the opportunity to articulate our services and solutions more accurately,” she remarked. The rebranding is touted to support the firm’s expanded positioning.